Textbroker offers several ways to place an order. 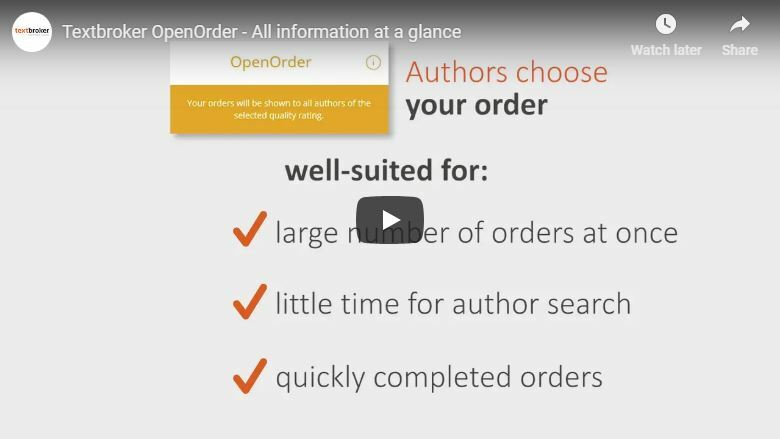 Textbroker Self-Service is flexible and easy to use, allowing you to order the content you need. 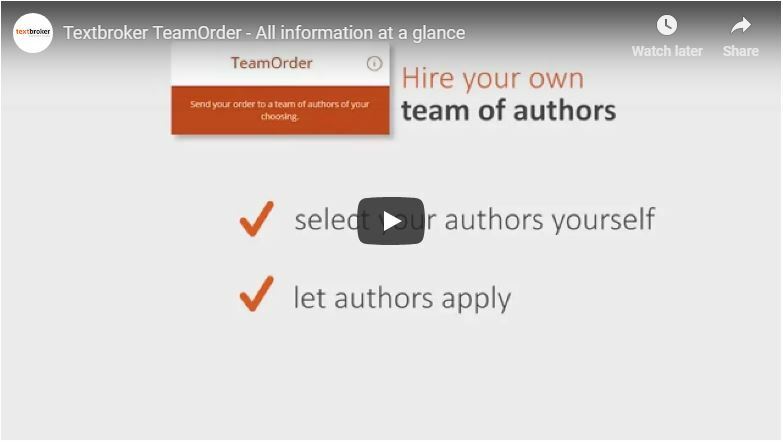 Do you want to place OpenOrders or DirectOrders without having to edit them yourself? If so, then get to know our proofreading service. Qualified proofreaders will correct your text in regards to spelling, grammar and punctuation – and all of that at a competitive price. 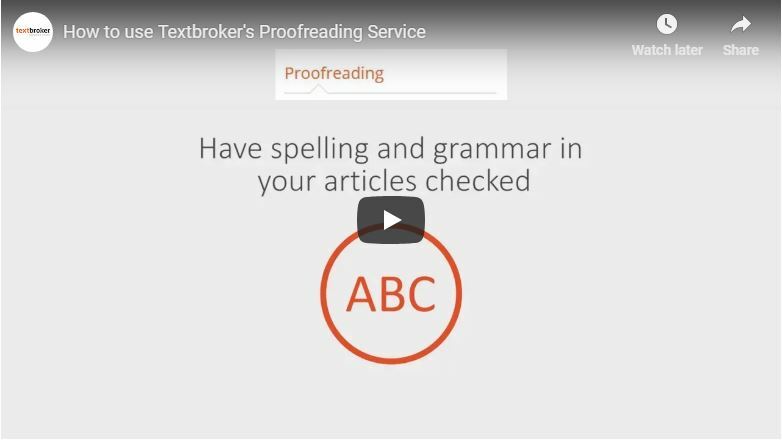 The Textbroker proofreading service is available for 3-, 4- or 5-star OpenOrders as well as for all DirectOrders. You can submit an article for proofreading in the article acceptance interface or in the list of your already accepted texts. The proofreading options allow for the delivery of perfect, ready-to-publish texts in the scope of Textbroker’s Self-Service. With the Self-Service option, you decide the level of quality and price required. You’ll find our complete prices and services here. 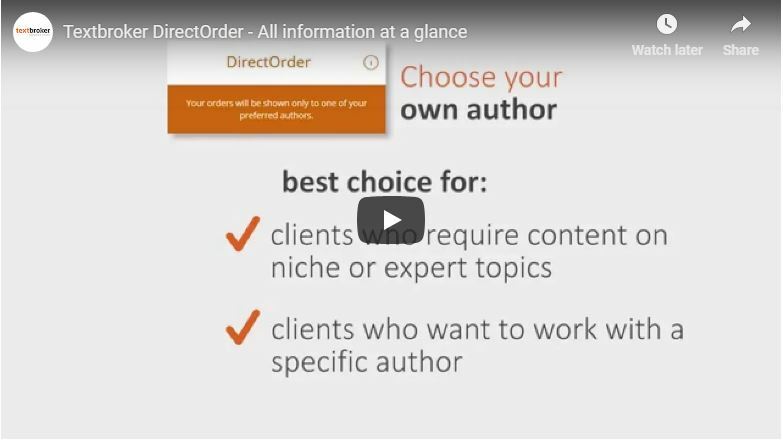 By ordering through the Textbroker platform, you connect with thousands of authors who provide high-quality content that is optimized for readers and search engines.